In the pent-up heat of Colombo, piece by piece, a family comes apart. As the five leave Colombo to travel to an ancient city, the generations collide and long-held prejudices surface. With one foot in the old way of life and one firmly in the new, this family can never be what it once was. 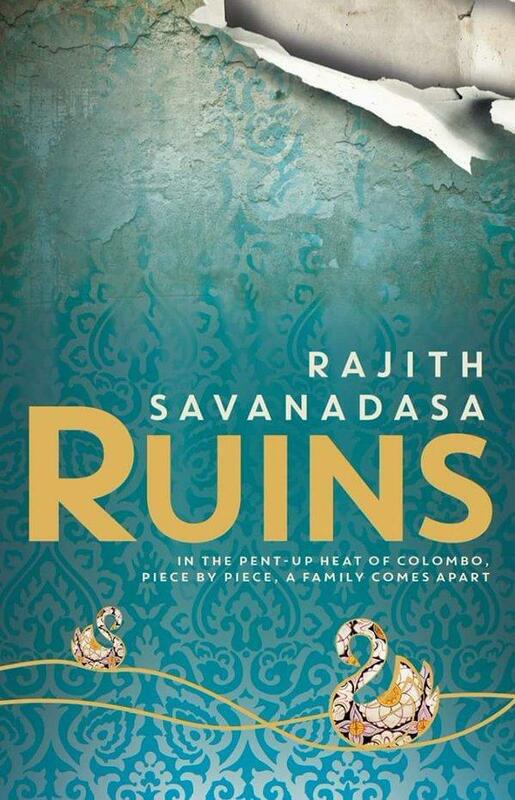 Set against the backdrop of Colombo in the final days of the Sri Lankan civil war, Ruins actively tells the story of one family grappling with the changing needs and wants of each family member and the generational differences and associated challenges in a cultural stronghold society. Importantly, Ruins tells the story of identity and the acquisition and challenges of maintaining the identity of one’s choosing. Savanadasa tackles this with not just individual considerations in mind but also the additional challenge of how cultural norms shape and mold our identity, the restraints of this, and to a degree the comfort and discomfort that cultural identity can offer. A gloriously colourful and rich story told from multiple points of view, each of which added an individual yet collective layer of complexity and depth to the story. In all, a stunning debut novel from author Rajith Savanadasa.